This entry was posted on February 15, 2017 by Nick. 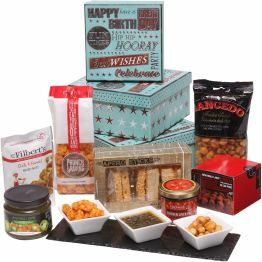 Hamper.com have a wonderful collection of hampers and gifts that are perfect for birthdays! Our hampers are bursting with delicious, high-quality treats including chocolates, cheeses, meats and drinks, perfect for enjoying on the big day. Finding a birthday present for a friend or family member can be a stressful experience, so discover Hamper.com’s collection of birthday hampers for him and her now to give a gift they’ll love! From chocolate cookies to smoked cheddar cheese, The Gourmet Selection is packed with delicious foods that are sure to make their birthday special! 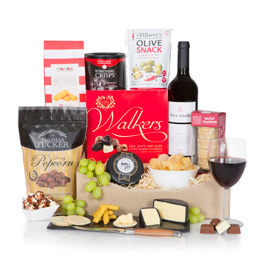 This is one of Hamper.com’s best-selling hampers and it is easy to see why. 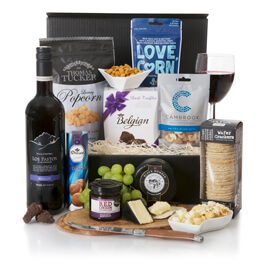 The hamper also includes a gorgeous bottle of Australian Shiraz red wine, a perfect accompaniment to the tasty treats! 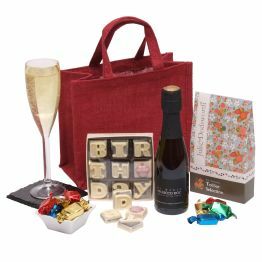 Presented in a traditional wicker basket, The Luxury Collection birthday hamper is an elegant and luxury gift. 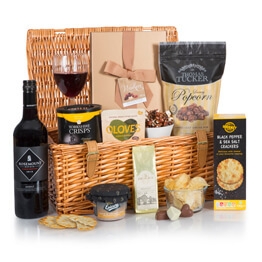 This fantastic present includes shortbread, crackers, nuts, olives, fudge, chocolates and a bottle of Californian red wine, perfect for enjoying on their birthday! 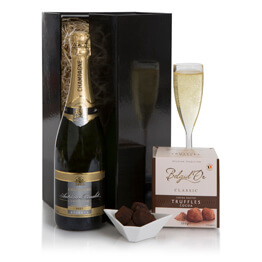 Get the party started with the Champagne & Truffles Gift Set! 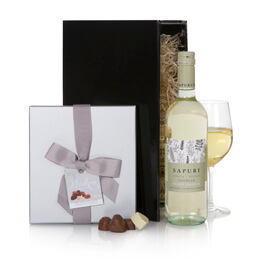 Presented in an elegant black box, this gift box features a luxury bottle of Champagne and indulgent Belgian chocolate truffles. Include a free personalised message and take advantage of free UK delivery. The Birthday Hamper for Him has everything he needs to enjoy his special day. 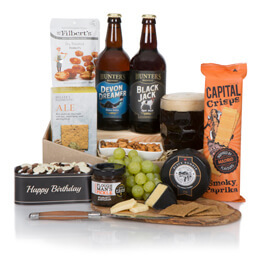 Including Black Bomber cheese, two bottles of ale, biscuits, nuts and a mini birthday cake he’ll love this fantastic present from Hamper.com. This is just one of the specially created birthday hampers for men that we have available! It can be difficult to find the perfect gift for a friend or family member on her birthday, but she’s certain to love the Hamper for Her. Featuring a bottle of Pinto Grigio wine, indulgent truffles and luxury raspberry chocolates, make her day extra special with a birthday hamper for her! To receive more information on the range of next day hampers available at Hamper.com, please get in touch today. Contact us online and a member of our team will get back to you as soon as possible.